,,Complete prephilatelic letter, sent from "WURZEN / 7. APR:" (Podkoren, 1844, Mü. 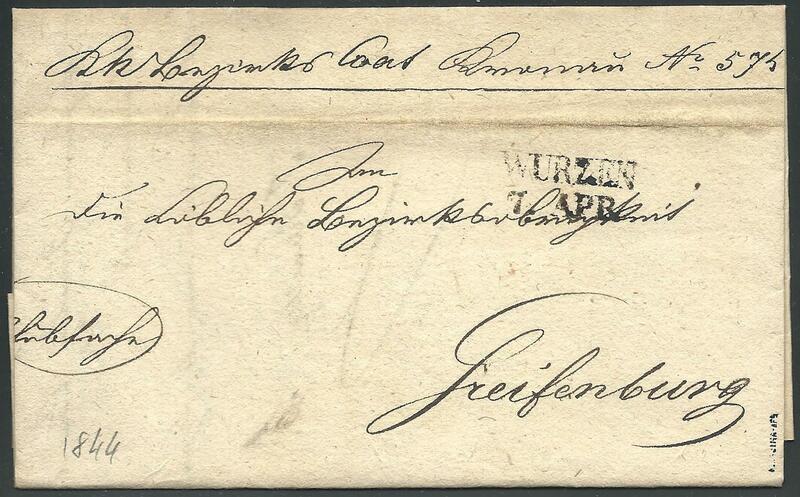 1733.b) to Greifenburg (8. Apr. ), signed Kajtna.